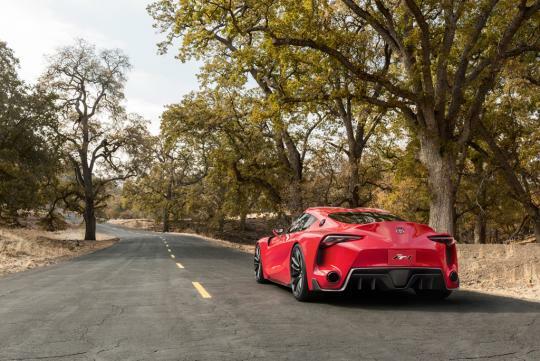 The Toyota FT-1 is a daring design study that will be unveiled in Detroit, U.S.A, which signals the direction of Toyota's future sports car designs. 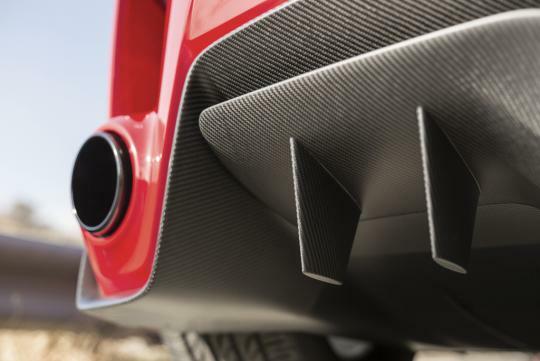 The FT-1 aims to show what can be achieved when the focus is creating a sports car design that will truly excite. 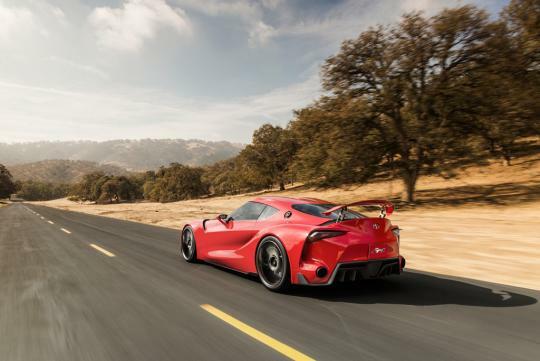 The FT in the FT-1 stands for 'Future Toyota' while the number 1 in the nameplate represents the ultimate. 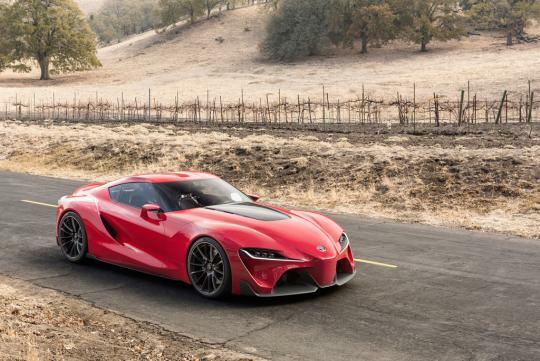 The project started nearly two years ago at Calty Design Research, Inc. (Calty), Toyota's design centre in California, U.S.A. 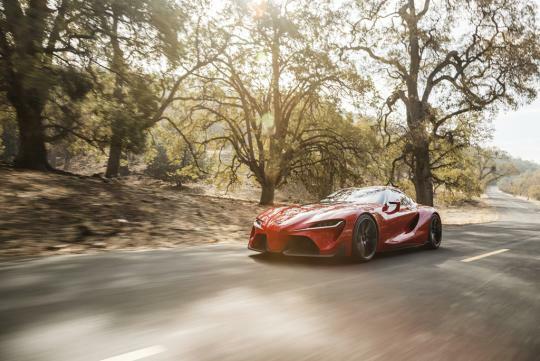 The team was inspired by history - with the team, referencing several sports car in Toyota's sports car heritage - going as far back as the 2000GT coupe, released in 1967. In addition, the concept draws inspiration from Calty's more recent sports car concept work such as the FT-HS and the Lexus LF-LC. 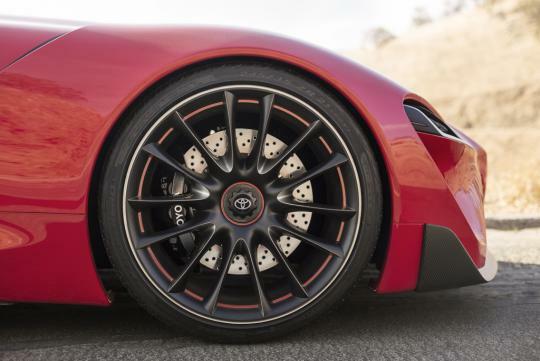 The bold and sharply styled face suggests powerful performance while dynamic air-intakes, exhaust ports and a McLaren P1 like - retractable wing at the rear - give physical form to the Toyota FT-1's optimum aerodynamic performance. 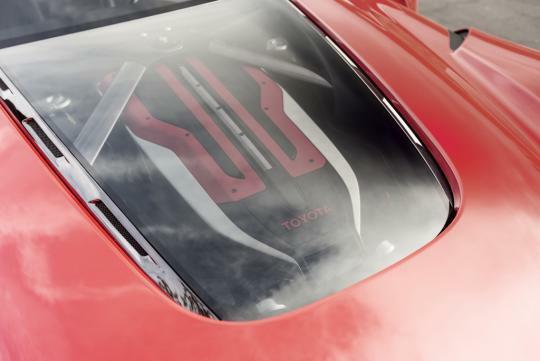 Meanwhile, the cockpit's wraparound windshield and side glass openings are a distinct nod to the design of the legendary Toyota 2000GT. 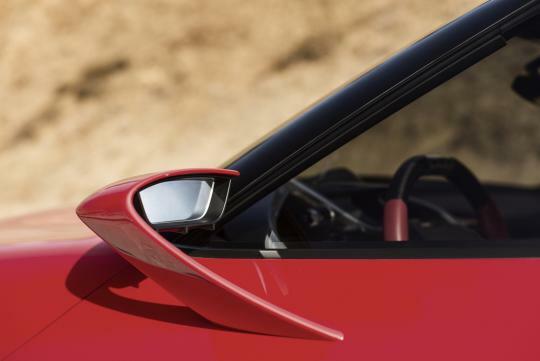 Furthermore, the A-pillars have been positioned as far back as possible to provide increased cornering visibility. The interior is highlighted with an ergonomic cockpit that aims to solely focus on the driver and enhance his/her driving experience. A delta-shaped display zone surrounds and integrates the driver to provide an exhilarating feeling of connectedness with the vehicle. An F1 inspired steering wheel and a colour heads-up display keeps the driver's attention at bay to what he should be doing best - driving. 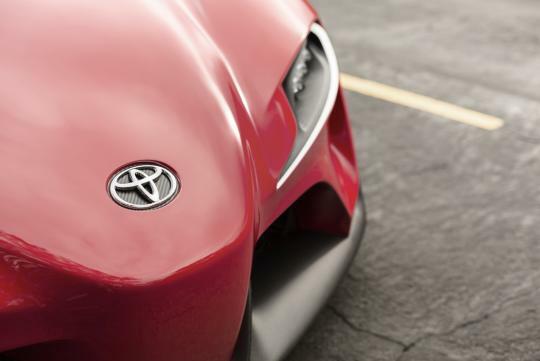 Apparently Toyota's new approach to design will see the marque trying to produce cars that connects more deeply with customers, generating a more satisfying ownership experience that complements the firms legendary reputation for quality, dependability and reliability. Having said all that, ,lets be honest here for a minute. Toyota - being Toyota - can pen concepts that rival the likes of masterpieces from Italy, but their actual production car would resemble nothing like their penned artwork. Remember what happened to the 86, or even the latest Corolla (American spec) ? 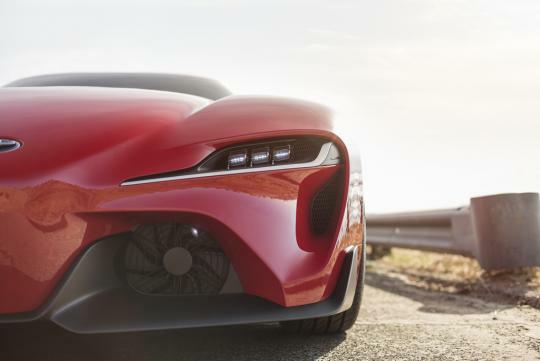 Having said so, the mildly anime like FT-1 looks drop dead incredible and Toyota will have a global best seller if they can materialise this vision. With the S-class at S$450K, how much would the Supra cost if it hits our shores? Anyway, sports cars are out of rage. Now is the time of the supercars. I see more Ferrari than Toyota 86 on the roads. 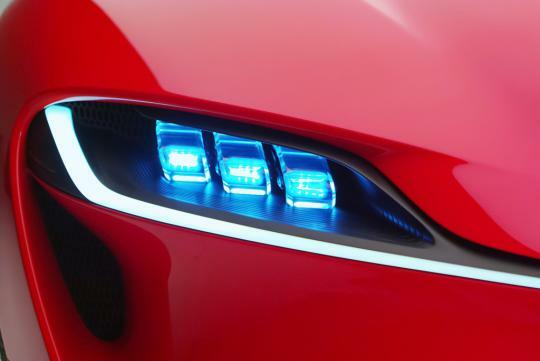 If this goes on the road, it'll be almost as eye-catching as supercars like Ferrari's and lamborghini's. Hope the actual production car will look close to this. Its a concept so it has to stand out but just remember how the FT86 concept was toned down to become the 86. There's enough here to suggest that this will be a serious machine. This looks F-ing incredible. 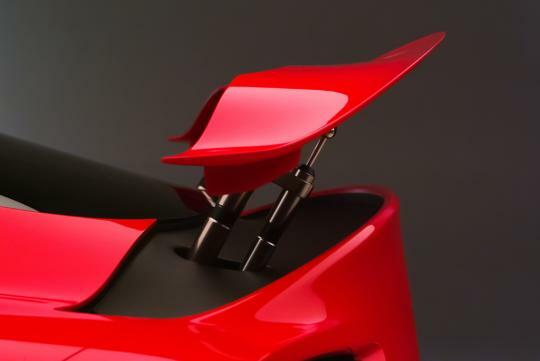 Toyota has so much money, they should build this as a halo no matter what--even if they don't make any money on it. There's always room for another Japanese sports car. There already is a successor.... The Lexus LF-A supercar. Probably only the rims would make it into the production model..